The holiday race is on, and Christmas is just a few days away — two, if you’re counting business days, and less than 12 hours, if you’re living in a Kardashian-esque time travel machine where everything is all glittery and expedited and fun until it’s not. 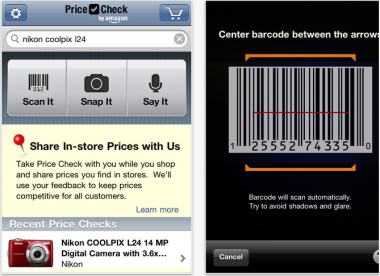 Price Check by Amazon: Meant to be used in stores, Amazon’s Price Check app goes beyond just bar-code scanning. It enables users to compare prices on Amazon, using voice, text or by snapping a picture of an item in a store. The free app is available for iOS and Android devices. Its picture-matching feature doesn’t always bring up an exact match, and the fact that all points lead back to Amazon may make you wonder why you even left your couch. But with Amazon being a low-price leader with quick-shipping options, you probably won’t want to shop without it. Google Shopper: Like Amazon’s Price Check, Google Shopper allows users to search for items using pictures, text, voice and bar-code scanning. But instead of directing shoppers to only one online source, it brings up millions of search results from across the Web. The latest version of the app includes the option to subscribe to Google Offers, Google’s answer to the daily deals offered by Web companies like Groupon and LivingSocial. So the latest update of Google Shopper should provide more local search results than previous versions of the app did, a common complaint from some users. The app is free in the iTunes App Store and, naturally, in the Google Android marketplace. EBay’s Half.com: Limited to media purchases like books, movies, CDs, videogames and game consoles, eBay’s Half.com app offers items at fixed prices, based on a UPC; sellers are required to ship any item within a few days of sale. The app uses Speedy Checkout, rather than PayPal, for purchasing. Regular eBay users have griped about the inability to see more information about the seller, condition of the product or competitive prices, so if you’re looking for more than just a quick buy, or have a quirkier gift in mind, you might want to check out eBay’s standard app. This one is available for free on iPhone and Android phones. RedLaser: Also owned by eBay, RedLaser is a popular, free, bar code and QR code scanning app that works on iOS, Android and Windows 7 phones. It’s been around for a couple of years now, but it has two new features that may be worth checking out: iOS app users that are also American Express cardholders can use AmEx rewards points to buy things in the shopAmex store, as we reported recently. And users can now search for price point and product information by scanning pictures from their phone’s camera roll. Shopkick: Unlike apps that offer immediate comparative pricing on the Web — which have increasingly put pressure on brick-and-mortar retailers — Shopkick emphasizes local shopping, and turns it into a kind of game. The app offers “kicks,” or rewards, for stepping into stores like Target, Macy’s, Best Buy and others. Shopkick points can then be converted into store vouchers, iTunes gift cards and movie tickets. Additional points may be earned by scanning items in stores, even if you have no intention of buying them right away. The free app, which launched in 2010, is available on the iPhone and Android platforms. 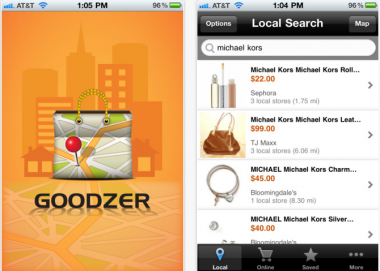 Goodzer: Another app for local shopping, Goodzer culls results from more than half a million stores — and not just small shops, but national retailers like Wal-Mart, Sears, T.J. Maxx, Bloomingdale’s and Sephora. The latest version of Goodzer claims to work all over the U.S., even in tiny towns, and offers the ability to save product listings for later viewing and comparison. Available for iPhone only — version 4.0 or later — Goodzer offers fast results for in-store buying, as well as some online options. Consumer Reports Mobile Shopper: Many apps allow users to scan more bar codes than a grocery store checkout clerk. But what if you’re also looking for product ratings from a trusted source? Enter the Consumer Reports Mobile Shopper app, available for both iPhone and Android OS. Earlier versions of the $4.99 app were buggy, but Consumer Reports says its recent update improves performance and the user interface. WalkSafe: Ever hear the song “Grandma Got Run Over by a Reindeer”? She was actually walking home from Best Buy, not our house, according to people familiar with the situation. Too bad Grandma wasn’t using WalkSafe, an app created by researchers from Italy’s University of Bologna and the Smartphone Sensing Group at Dartmouth. The app uses the smartphone’s sensors to keep an eye out for oncoming traffic, so you can browse your phone and comparative shop to your heart’s content. WalkSafe is free in the Google Android market; note that it’s currently not available for iOS devices. 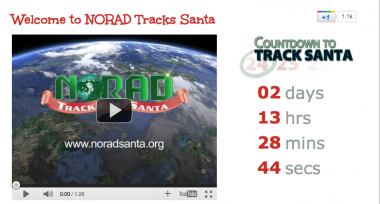 NORAD Tracks Santa: This doesn’t have anything to do with shopping. Consider it a bonus holiday app. You see, back in the days when people trudged to school in three feet of snow — uphill, both ways — they didn’t have search engines like Google and Bing to answer every question. Now, with the click of a mouse, kids can run searches to find out whether Santa Claus, the Tooth Fairy and Kim Jong Il are real. 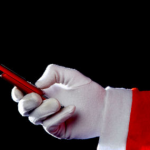 For the more dubious members of your household, you can point them to a number of Santa-related apps. One of our favorites is from NORAD, the U.S.-Canadian military organization in charge of aerospace and maritime defense, which offers a free iPhone/Android app to help users “track” Santa Claus’s activity. Parents can also download a free app called Postcards from Santa in both the Apple App Store and the Android market, and send personalized postcards from the big guy for $1.99.